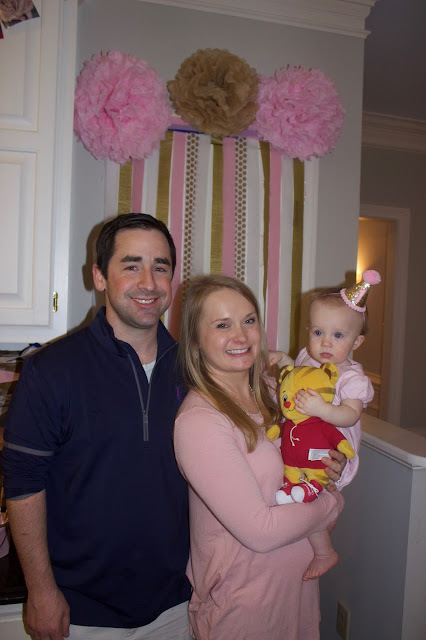 It is hard to believe it has been nearly two months since we celebrated Madeline's first birthday. It was such a special day for our girl with lots of friends and family in town visiting and celebrating the occasion. Aunt Kate and Uncle Chris even flew in from San Francisco to celebrate. 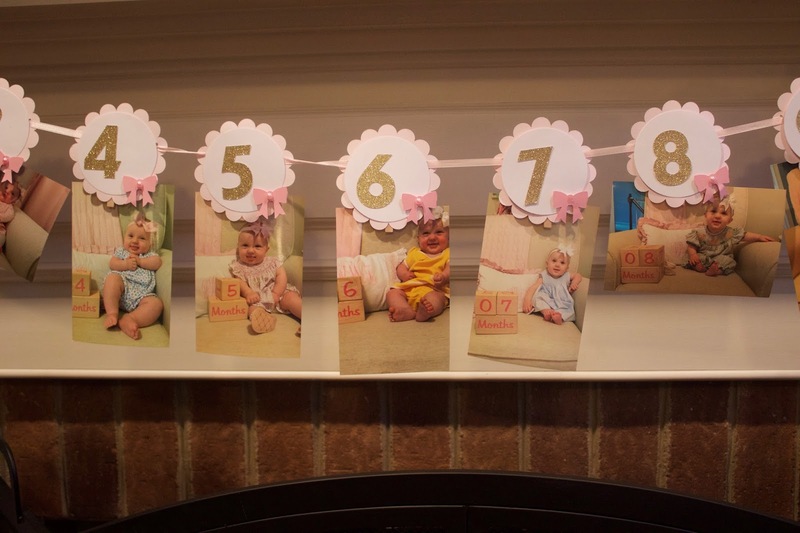 I started planning Madeline's birthday party months and months before. You can see this post for my inspiration and I purchased a lot of the decor second-hand on our local mom's resale group. 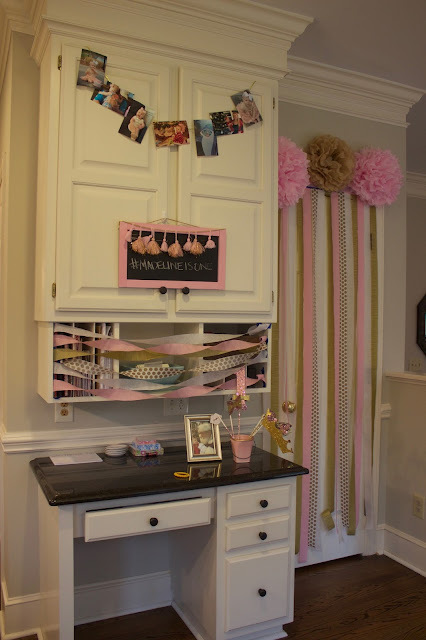 This let me go all-out on pink and gold decor without it breaking the bank. Corey, my mother in law, sister in law, her fiancé, and I ordered a pizza and decorated that Thursday night before the party. We enjoyed some family time on Friday, Madeline's actual birthday, and took her to a fun breakfast out and to ride in her new Cozy Coupe. I had my house cleaner come on Saturday morning. In retrospect, I would probably have her come Sunday morning after the party next time. I ordered Madeline's cake and cupcakes from Publix at the recommendation of several moms in our neighborhood. 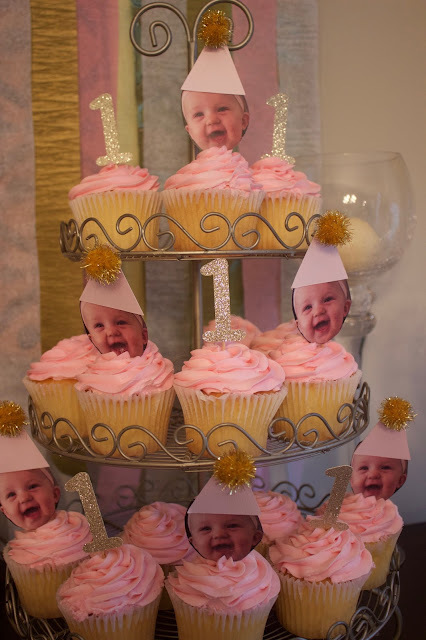 They did a perfect job with decorating it to match the photo I brought in from Pinterest and everyone thought the cupcakes were moist and delicious. They were also so reasonably priced. I will definitely use Publix again for cake orders. I used my Cricut to make Madeline's cake topper and the little cupcake toppers. The ones of her in a party hat were my favorite project and they were such a big hit. 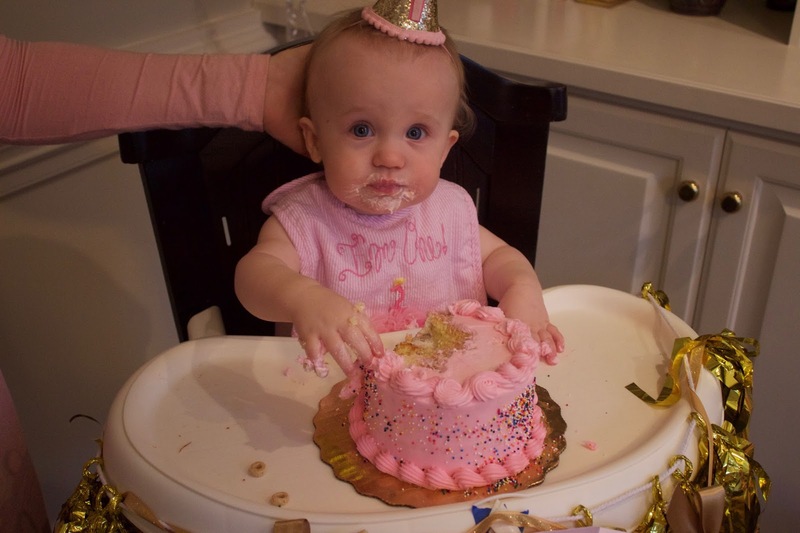 She, of course, loved the cake as well and had such a fun time digging in and clapping her hands at how delicious she thought it was. For appetizers, I served homemade guacamole (recipe from the old school days of this blog), salsa, a veggie tray, pigs in a blanket, and my mom brought a cheese and relish tray. I also set out cheerios and puffs in these cute cups for Madeline's littlest guests. 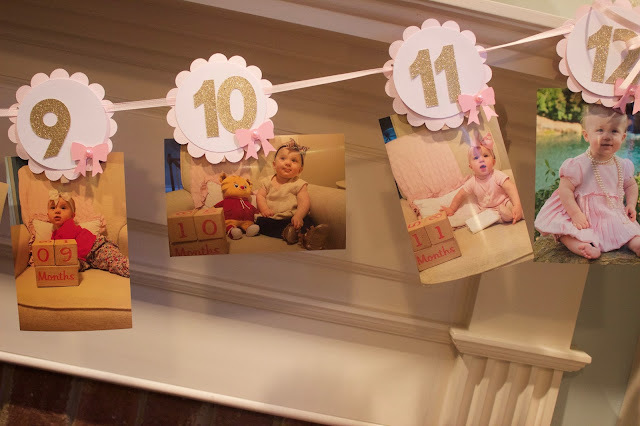 We decorated with framed pictures of Madeline's first year all around the house. We used the champagne frames from our wedding that have been sitting in storage ever since. We also set up a fun little photo booth. 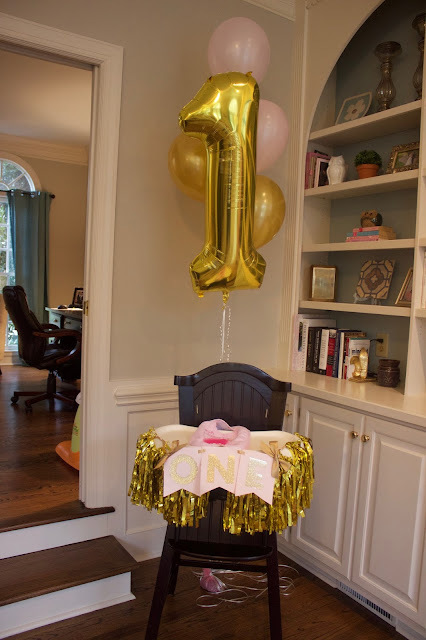 The props were hand me downs from another mom. I found Madeline's dress at Janie and Jack and loved the cute, pleated look. I didn't want to do something first birthday specific so she could wear it again. I did get her this tiny birthday hat and I loved it. $7 well spent, if you ask me. 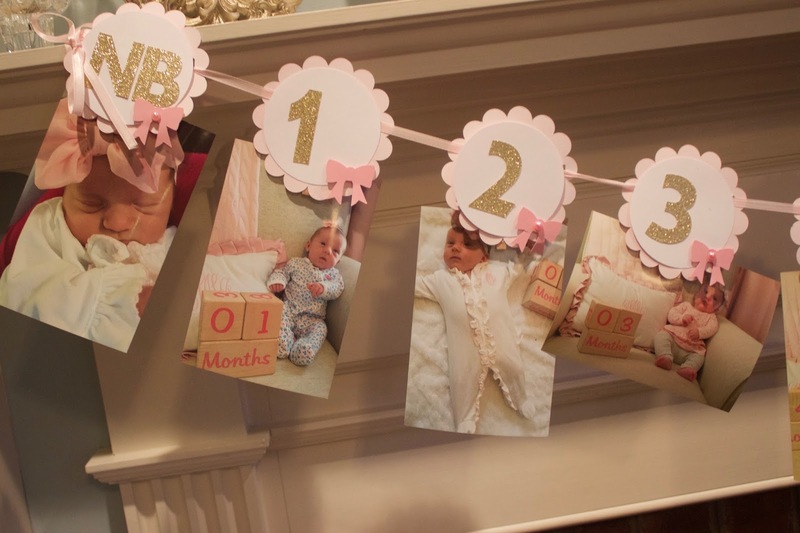 Probably my favorite decoration was the monthly photo banner. Getting those pictures was a labor of love after eight months but I am so glad I have them. 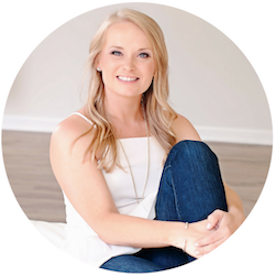 I mean, just look at home much she changed! 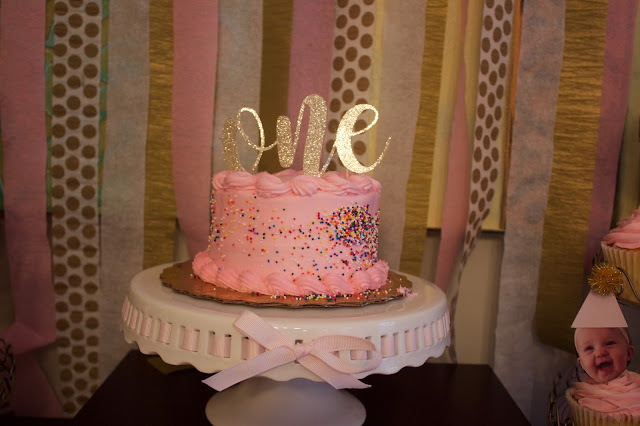 More first birthday photoshoot pictures here and newborn photos and birth story here. Corey cooked barbecue on the Big Green Egg all night and I made cole slaw and macaroni and cheese. 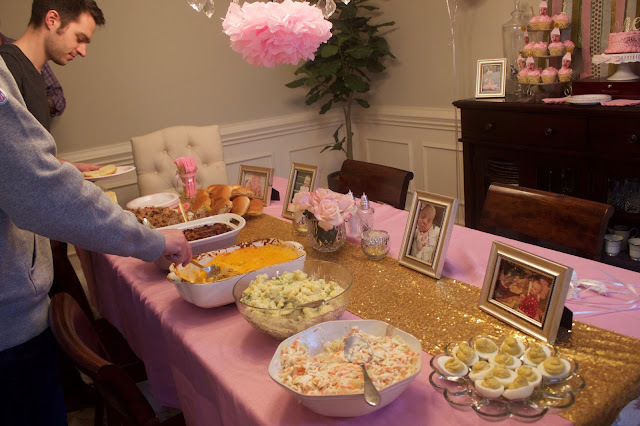 Corey's mom brought baked beans and my mom brought her famous potato salad and deviled eggs so this provided a full meal for all our guests but wasn't too much work since it was well divided up. Madeline had a great time playing with all of her friends and eating all the food. She and her little friends enjoyed playing in the water table and sliding on the toddler slide, which we set up inside for the party. 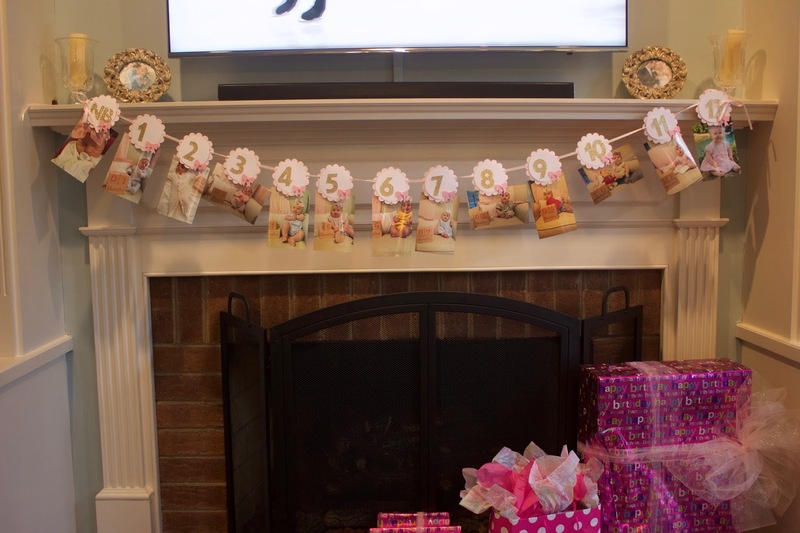 The party lived up to all of my Pinterest dreams but I will definitely look forward to doing something smaller next year! Haha! Cleaning up was a little exhausting but I passed the decorations along to a fitness coaching client of mine to use for her daughter's birthday next month so I am happy they will continue to get use. 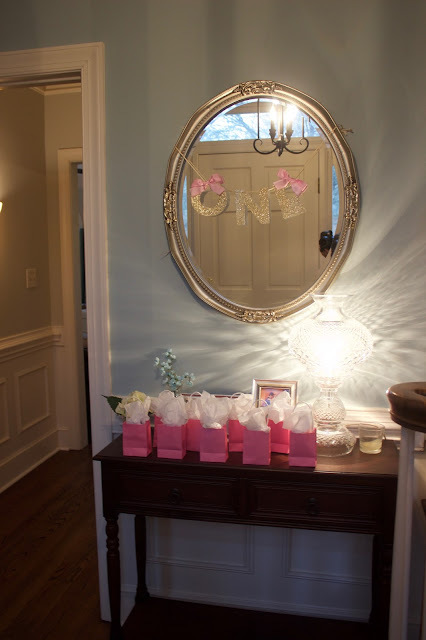 For favors, we used these cute little bags from Target's dollar aisle with bubbles from Dollar Tree inside for her tiny friends to take home. 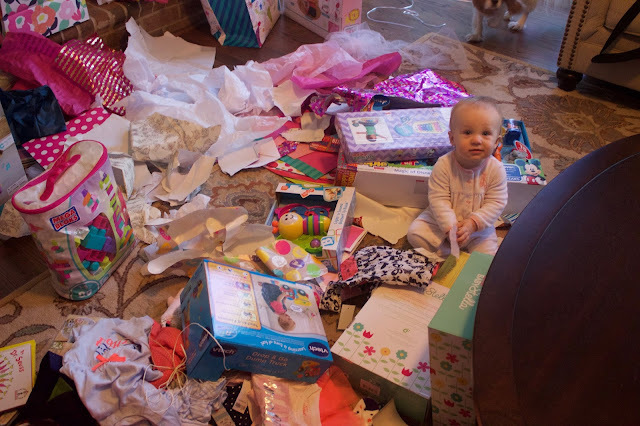 The celebrations continued on to Sunday when she opened her gifts and played with all her new toys. 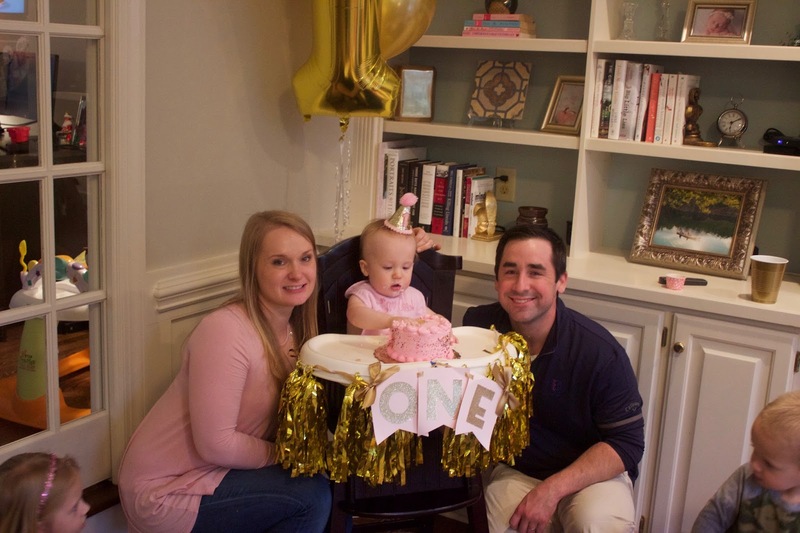 It was a great way to celebrate her first year and we sure are thankful for this precious girl. 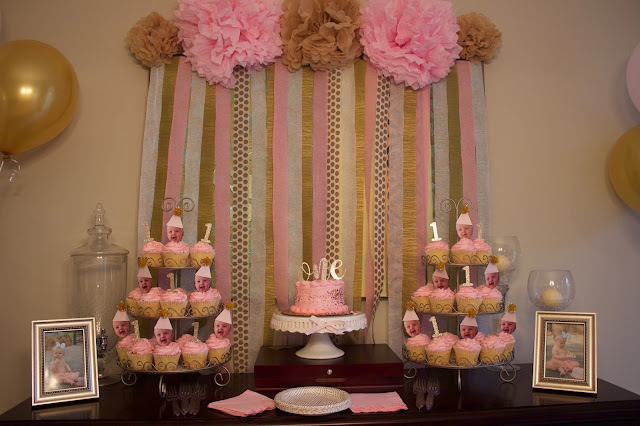 I love all the pink and gold! I would use all those decorations for my own birthday. 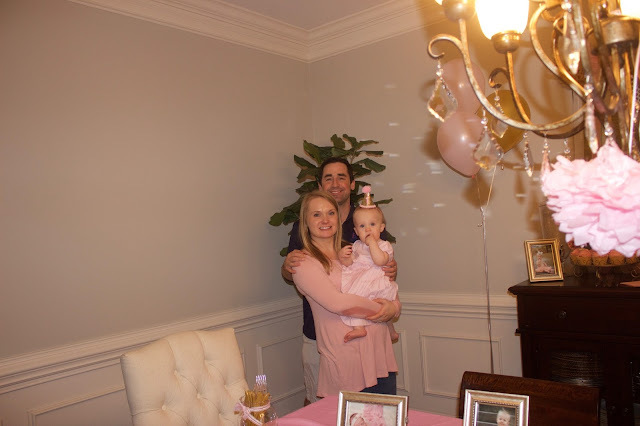 At first I couldn't believe family flew in for a baby's 1st birthday... Then I remembered that Dan and I flew to Ohio last summer for our nephew's 1st birthday! It was so much fun, with a Cookie Monster smash cake and everything. 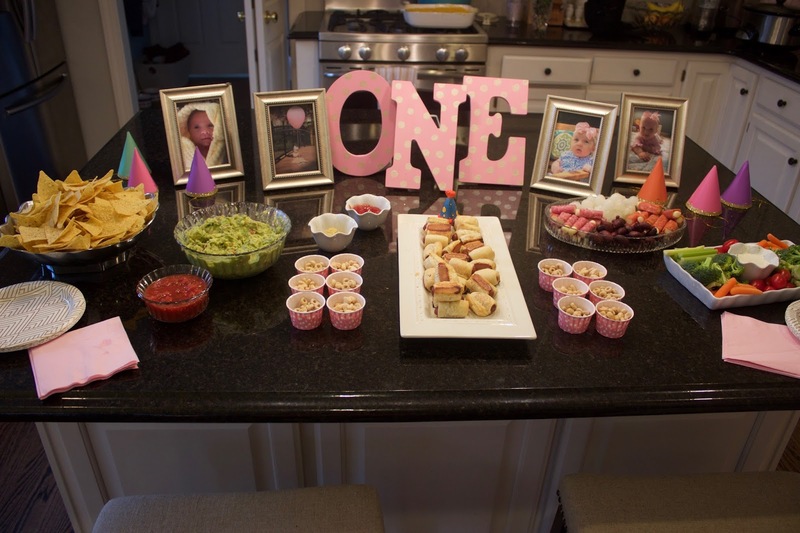 Aww, such a beautiful and precious birthday celebration for your little girl! 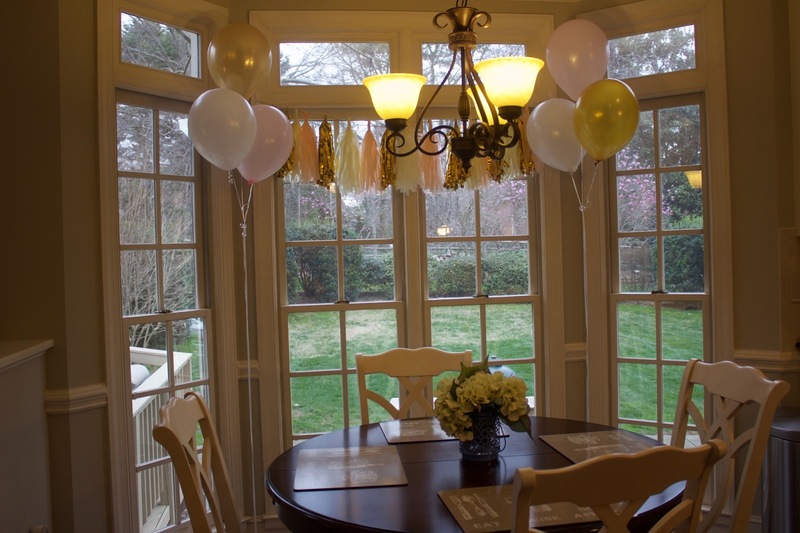 Great decorations!! Looks like she had a great birthday!! !